I read this article and found it very interesting, thought it might be something for you. The article is called Notebooking Spotlight: Judy and is located at https://notebookingfairy.com/judy/. 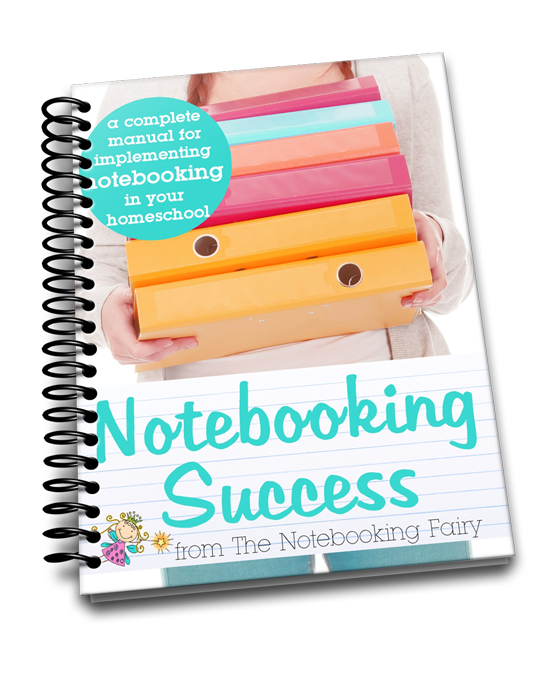 In the Notebooking Spotlight, we feature homeschool moms who use notebooking with their children. Today we have Judy Hoch in the spotlight. Judy blogs at Contented at Home. Follow her on Twitter @judyhoch. Judy, when did you start notebooking? We got our first taste of notebooking about two years ago when Kaylee and Keaton were 12 and 10. The two of them were studying Pennsylvania history and I found a wonderful notebooking-based course for them. Because this course suggested a purchased state notebook and included most of the materials, we were able to begin notebooking without a lot of pre-planning or stress. Both children enjoyed the course, and I was thrilled with how much they learned without worksheets and busywork. How do you use notebooking now? Kaylee and Keaton are using notebooking along with their Mystery of History studies this year. Since neither of them enjoys hands-on activities, notebooking is a practical tool for reinforcing what they have learned. After reading the lesson, each child completes a notebooking sheet independently, recording the most important or most memorable facts from the lesson. 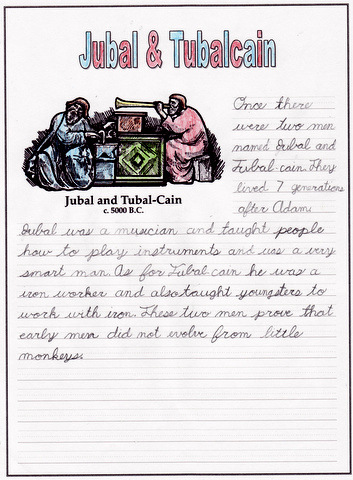 Each child also maintains a timeline notebook, adding newly-covered people and events about once each week. 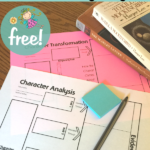 All of their notebooking pages are filed behind the corresponding timeline pages in a three-ring binder, making it easy for them to review what they have learned throughout the year. I have made our timeline pages available for free on my blog. What is your favorite thing about notebooking? I love that notebooking is a truly personalized learning experience for our children. It is fascinating to see that each child brings away something different from the same history lesson. What are your best notebooking tips? We quickly discovered that ordinary adhesive methods just don’t work very well for our timeline notebooks. As the pages begin to fill up, the children sometimes decide to move the timeline figures to fit more on the page. 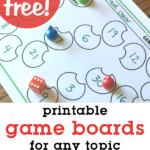 We opted to ditch the glue sticks in favor of a Dotto repositionable tape runner (affiliate link). Often used in scrapbooking, this nifty tool allows the figures to be re-positioned as many times as necessary without damaging either the page or the timeline figure. Any adhesive residue can be easily removed with a fingertip. 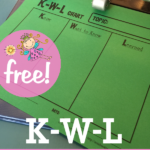 How do notebooking pages enhance learning in your homeschool? 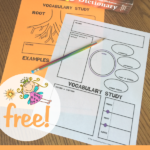 Not only do notebooking pages reinforce learning from a specific lesson, but they also provide a natural way to practice writing skills. With consistent notebooking, students develop their ability to use proper grammar and punctuation in their writing. What kind of notebooking pages do you use? 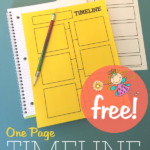 I make our notebooking pages using the History Through the Ages timeline figures (affiliate link) for illustrations. The same images are used for the children’s timeline pages. How do your notebooking expectations vary for different aged children? I try to base my expectations on the child’s experience. For example, my sixth-grade son struggled with remembering to indent his paragraphs, so we focused on that for a time. My eighth-grade daughter has a lot more experience writing, so we worked on developing more advanced punctuation skills. I generally do not use notebooking as an intense writing project. Rather, I try to focus on one or two skills that a child needs to develop and require corrections only in those skill areas. My goal in notebooking is to keep writing fun while helping my children learn. 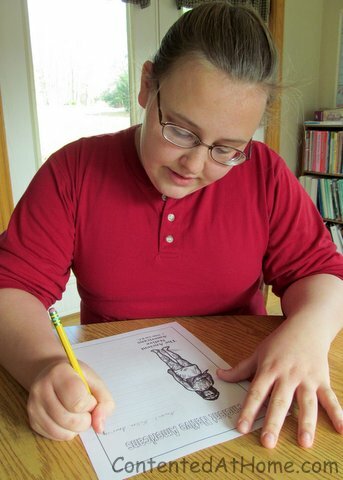 Thank you, Judy for this peek into your homeschool use of notebooking. It was very instructive! If you would like to be featured in the notebooking spotlight, please send me an email. I can send you a questionnaire.